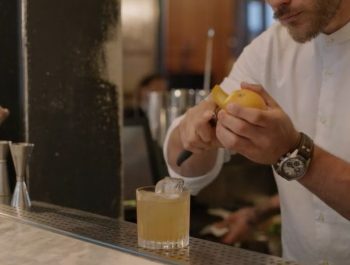 Innovation in ‘non-alcoholic’ drinks is the most exciting drinks trend, Diageo’s spirits innovation company Distill Ventures has claimed. The spirit’s giant’s start-up ‘accelerator’, Distill Ventures has said the exciting trends in grown-up non-alcoholic drinks marked the “biggest opportunity in the drinks industry right now”, in the first of a series of new trend reports. Driven by a greater focus on wellbeing and the same thirst for memorable experiences that has fuelled the rise of premium craft drinks, so-called ‘non-drinkers’ are no longer content with soft, sweet, fruit-driven or fizzy drink, the report found. . They have “greater curiosity around different flavours” and want better choices, it said, which includes greater complexity of flavours, a less-is-more approach to ingredients, service with a sense of occasion and presentation on a par with its alcoholic counterparts. As a result, bars and restaurants were increasingly offering their own in-house no- or low-alcohol offerings, which are gaining greater prominence in the drinks menu. Along with this higher standing, bartenders are presenting them with greater theatre than the average standard soft drink, and the prices reflect the more ‘crafted’, authentic approach. The report concluded that there was enormous opportunity for the category in the on-trade. “As drinking trends change, and people are looking for drinks that add to, or even define their experience, bars and restaurants need to pay as close attention to their non-alcoholic drinks, as they would their wine or cocktail lists, and even their food menus,” it said. Diageo improves life with non alcoholic DRINKS and its most life sustained drinks. life goes on with diageo….